About me: experience in Forex trading and software development since 2006. 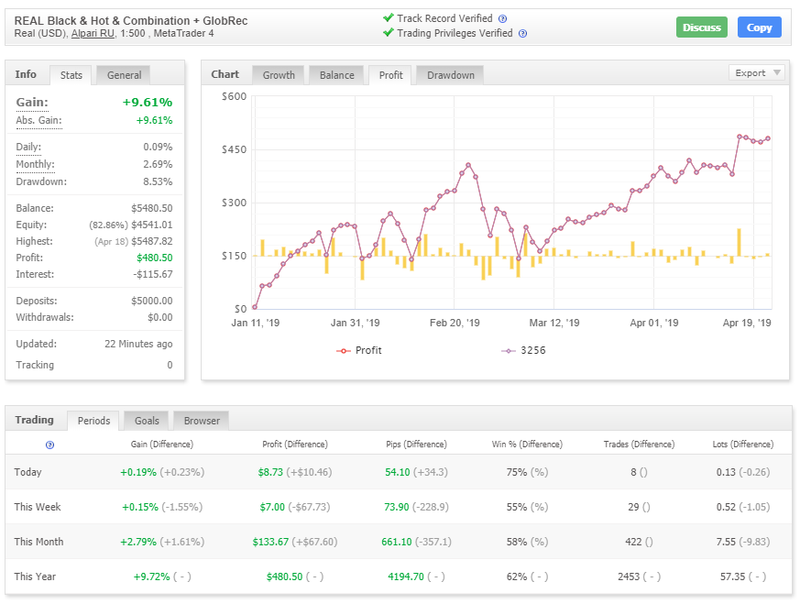 The EA contains a combination of several trend and anti-trend virtual strategies with averaging with different parameters made with the help of GeneratorPro - there you will find the maximum number of settings and strategies. This EA consists of 100 virtual strategies. Each strategy has its own parameters and follows the trend. Each strategy has a limit on the loss, which allows you to keep the balance of the total loss. Virtual strategies, for the first time among my expert advisors, do not use averaging against the trend, but instead add positions on the trend. When the trend changes, the positions are reversed. Works Advisor https://www.mql5.com/en/market/product/36031 on all supported pairs (13 pieces). This signal is designed to demonstrate the performance of each pair, to have statistics for each separately without affecting one another. To do this, use a balance of 50,000, and a fixed balance (Fixed Balance) for each pair of 5000, ie, for each pair allotted 5000. Risk=5000, Globalrecovery2019 disabled. The EA consists of multiple virtual Prototype-1 robots (up to 100 strategies depending on the currency pair). Each strategy has different settings. 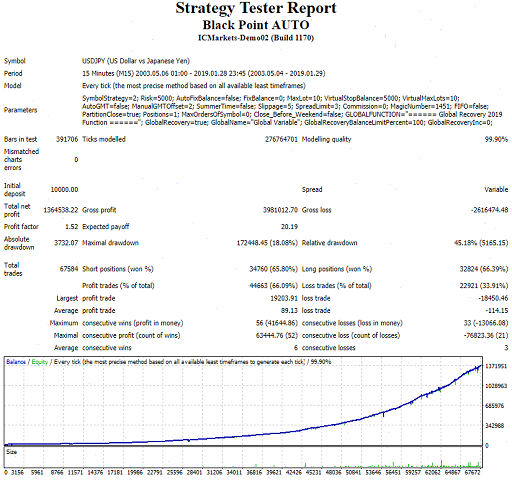 Once the lot sizes for all strategies are calculated, the EA obtains the resulting trading lot. The operation principle is trading within a corridor. When leaving the corridor, the EA closes the positions and saves them for opening in the future. Thanks for update your review!